Jordan . Ancient Ruins . Petra . History . Culture . Attractions . Over the millennia, Jordan has been home to multiple ancient civilizations, from the Nabataeans to the Romans. Spectacular ancient ruins dot the landscape to this day, inspiring new generations of visitors. So where should you do to see the best of the ancient world in Egypt and Jordan Tours? 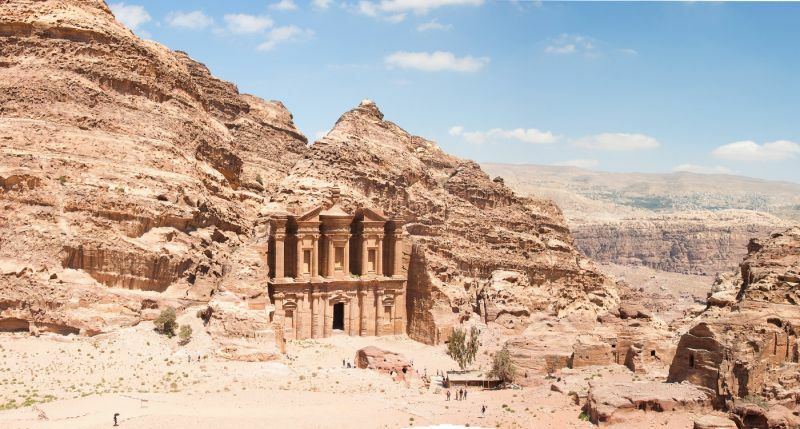 This list would of course be incomplete without Petra, the “Rose City” built by ancient Nabataeans that is so off-the-charts amazing it has become a symbol of Jordan. Plan to spend hours here winding your way through narrow red gorges, admire the Treasury (Al-Khazneh), explore the numerous rock-cut tombs, and hike all the way out to the Monastery (Al-Deir). There are no words adequate to describe the atmosphere here—you simply have to visit and experience it for yourself! 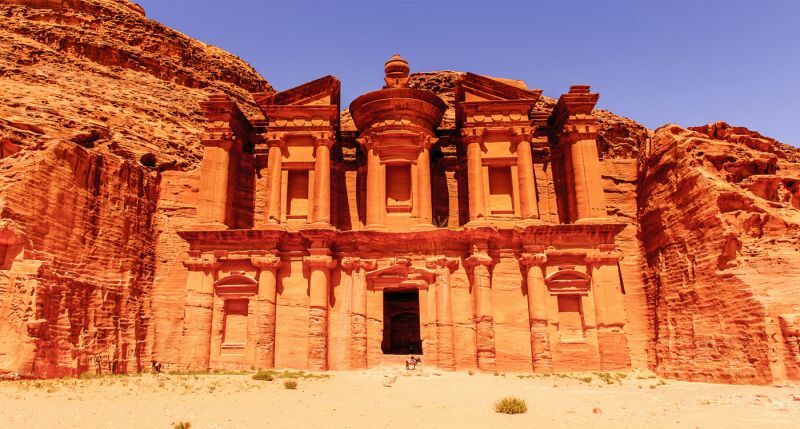 Also built by the Nabataeans, likely around the 1st century CE, Little Petra features even more rock-cut buildings, impressively hewn and carved out of cliffs and mountainsides. If you can’t get enough of Petra, then Little Petra, situated slightly further north, is perfect for you. One major highlight of Little Petra? The Painted House, a small room with a well-preserved ceiling fresco that depicts birds and twisting grapevines. This enchanting fresco is an extremely rare example of Nabataean painting that survives to the present day. 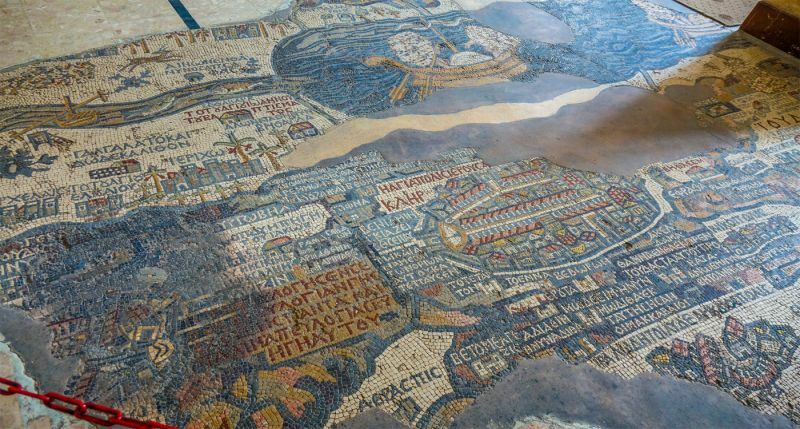 Created in the 6th century CE for the Byzantine Church of St. George, the Madaba mosaic map is one of the oldest known maps to show the Holy Land. In addition to its historical significance, the Madaba map is a truly exemplary work of art with a mesmerizing attention to detail. Look carefully and you’ll see the Dead Sea, the cities of Jericho, Askalon, Bethlehem, and of course Jerusalem, complete with various landmarks such as the Church of the Holy Sepulchre, the Tower of David, and the Damascus Gate. Modern archaeological excavations have confirmed the map’s impressive accuracy. 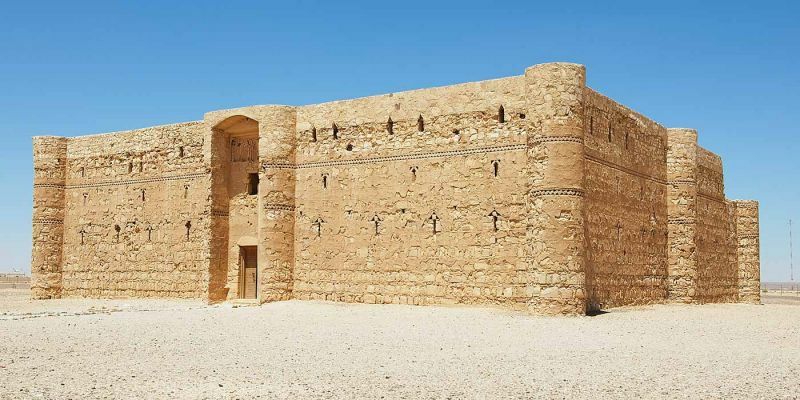 There are numerous desert “castles” in Jordan, but three of the best are Qasr Kharana, Qasr Amra, and Qasr al-Azraq. 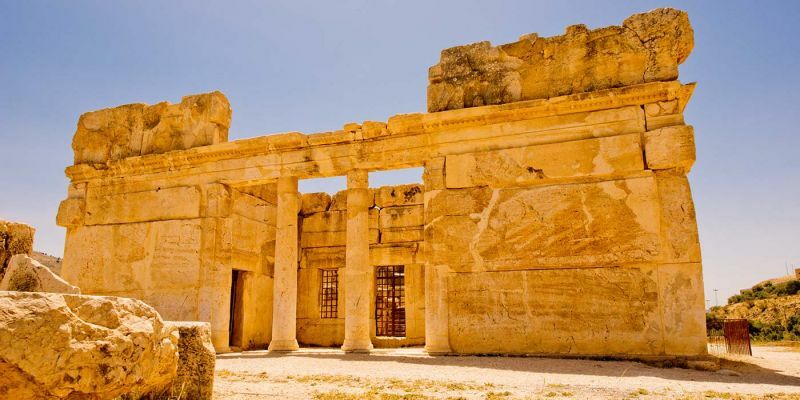 These three sites are easy to visit as a day trip from Amman. Qasr Kharana is a relatively well-preserved structure from around the 8th century CE. Its precise function is unknown, though it could have been used as a resting place for traders or travelers. Its square layout features an inner courtyard with rounded towers at each corner. Constructed in the 8th century by Walid Ibn Yazid, Qasr Amra appears to be a small and relatively unassuming royal lodge from the outside—but inside it comes alive due to its frescoes, which depict an array of hunting scenes, animals, plants, zodiac figures, and constellations. Qasr Amra is a UNESCO World Heritage Site thanks to these exquisite paintings. Qasr al-Azraq has a history stretching back into antiquity, though its current appearance is largely due to 13th-century construction in black basalt. This fortress boasts incredible doors made from large blocks of stone (rather than from wood). It is also famous for having housed T.E. Lawrence (“Lawrence of Arabia”). 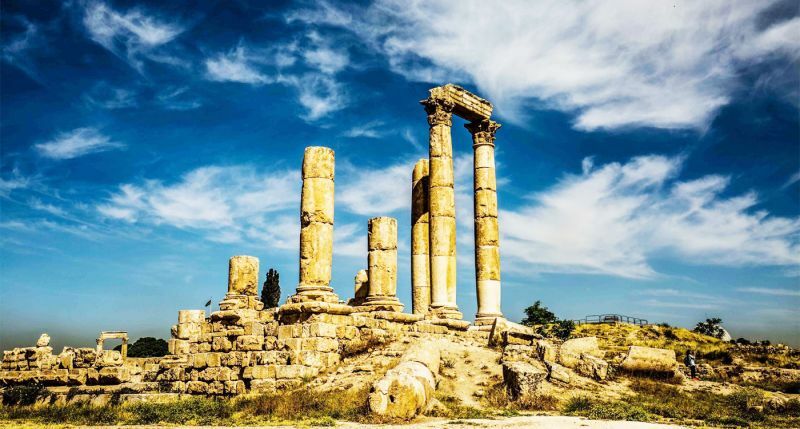 Head up to Amman’s Citadel to see architectural ruins from the Roman, Byzantine, and Umayyad periods, as well as panoramic views over the modern city. People have been living on this spot and leaving things behind here for millennia, stretching back well into Neolithic times. Among the most notable structures remaining today are the Temple of Hercules, the Umayyad Palace, and a Byzantine church. There’s also a small museum showcasing pottery, metalwork, and various other finds from the area. Located in the heart of Amman, the 2nd-century Roman amphitheater, built into a short slope, could seat as many as 6000 people in its heyday. You’re unlikely to find that many people there now, though the space is sometimes used for concerts and other events. The amphitheater also houses the Jordan Museum of Popular Tradition and the Jordan Folklore Museum. 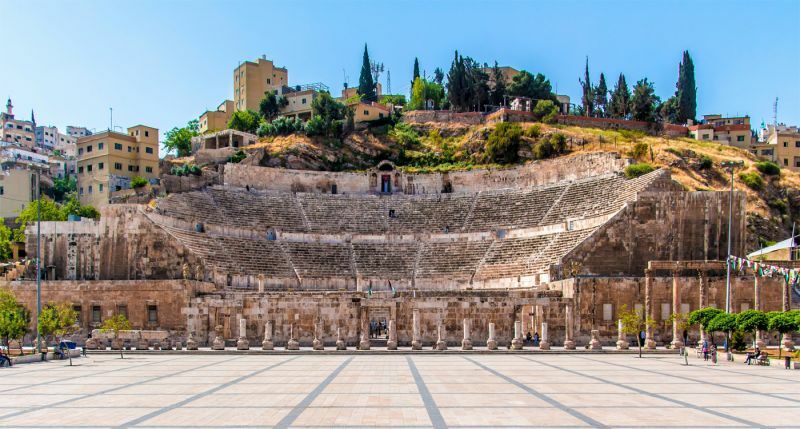 This Hellenistic palace dates to 200 BCE and is an easy half-day trip from Amman. Made from enormous blocks of stone, the imposing palace offers sweeping views of the surrounding valley. It is perhaps most famous for its stone lions, some of which still survive despite the earthquake that badly damaged the building in the 360s CE. 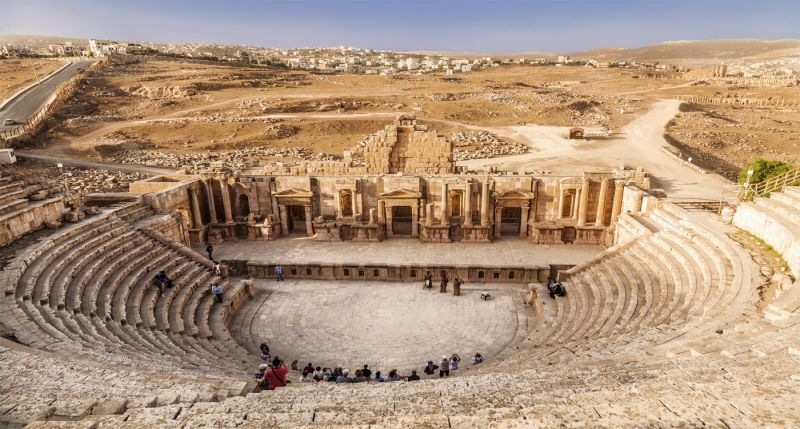 The ancient ruins of Jerash are an absolute must-see for anyone with an interest in history. People settled in the area during the Neolithic (7500-5500 BCE) and Bronze Ages (3200-1200 BCE), and we have evidence documenting the city’s role in the Hellenistic world (323-31 BCE) as well. From 63 BC onward, Jerash and its surroundings belonged to Rome. During the 1st and 2nd centuries CE, Jerash thrived and expanded. It received a visit from Emperor Hadrian, which occasioned the construction of a triumphal arch to celebrate his visit to the city. This arch remains standing today. When you visit Jerash, you’ll immediately be struck by the sprawling expanse of these ruins. You’ll stroll down colonnaded streets, stand beneath Hadrian’s Arch, walk the length of the hippodrome, admire the oval Forum, and see more columns than you can possibly count. Jerash has also been home to sizeable Christian, Jewish, and Muslim populations. Between 350 and 600 CE, Christian inhabitants built several churches which you may see during your visit. Researchers have found remains of a synagogue underneath one of the churches. There are also ruins of several houses and mosques dating to the Umayyad period. This spectacular city is well worth a visit! You’ll not only be stunned by the impressive Roman ruins, but also intrigued by the countless layers of history and culture that make up this ancient city. 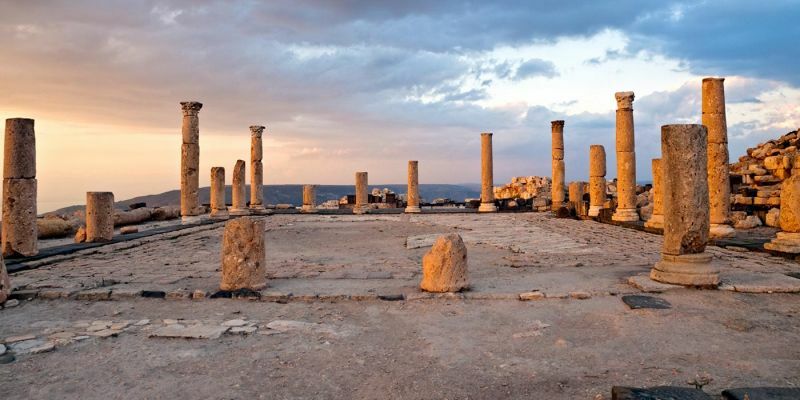 The ruins at the Greco-Roman city of Gadara (now known as Umm Qais) generally attract fewer crowds than Jerash, allowing you to explore them at leisure: colonnaded streets, temples, baths, a theater, and a hippodrome. Gadara’s dramatic setting offers panoramic views over the ruins and their vast surroundings. Visitors can see the Sea of Galilee, Golan Heights, and sometimes even into Lebanon. 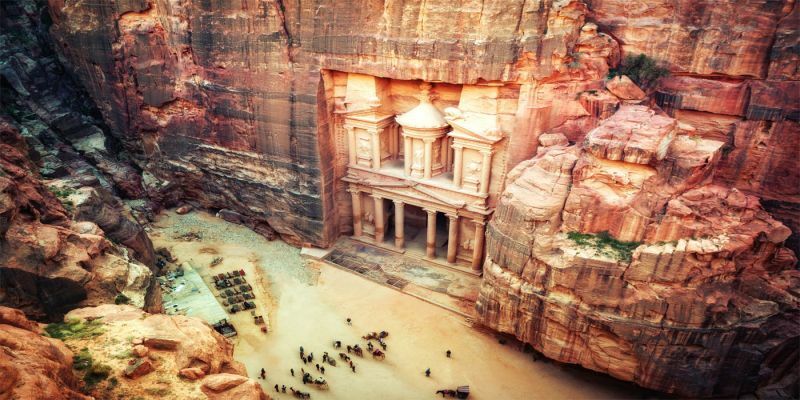 Curious about the ancient ruins of Jordan ? Have an unforgettable experience exploring Jordan Tour Packages!